Vladimir Tarasenko was the star of the game for St. Louis, scoring a hat trick to lead the Blues. It was Tarasenko who scored the game winner in overtime. In his post game interview, head coach Peter Laviolette was disappointed in the loss but sounded encouraged over how his team played. He gave St. Louis a lot of credit, stating that they were finding ways to win hockey games, while his team isn’t. Arvidsson has 15 goals since January 1st while Filip Forsberg netted his twentieth on the season. Ryan Ellis picked up his 200th point of his career. Juuse Saros started in net for the Predators and took the loss. Jake Allen gets the win for the Blues. Once again the Predators outshot their opponent but couldn’t get the win. 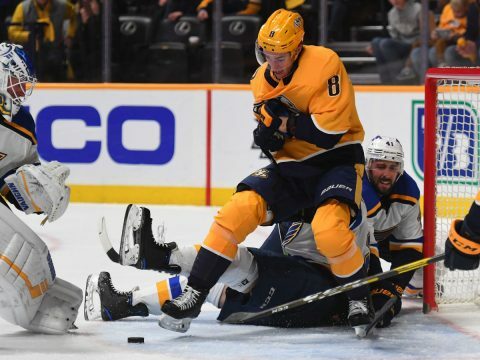 Nashville fired 44 shots on goal, while St. Louis had 29. 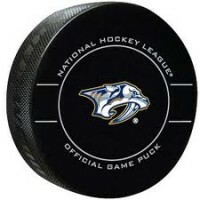 Nashville will host the Detroit Red Wings on Tuesday night at the Bridgestone Arena. Puck drops at 7:00pm.